I'm a big fan of Andy Gotts. He is a great celebrity portrait photographer, of course, but he seems to have a special talent to bring out something special out of his subjects, might it be their silly side or deep emotions. Even though his subject are mostly (very) famous actors. His work is very refreshing in the world of tiresome beauty of perfection. 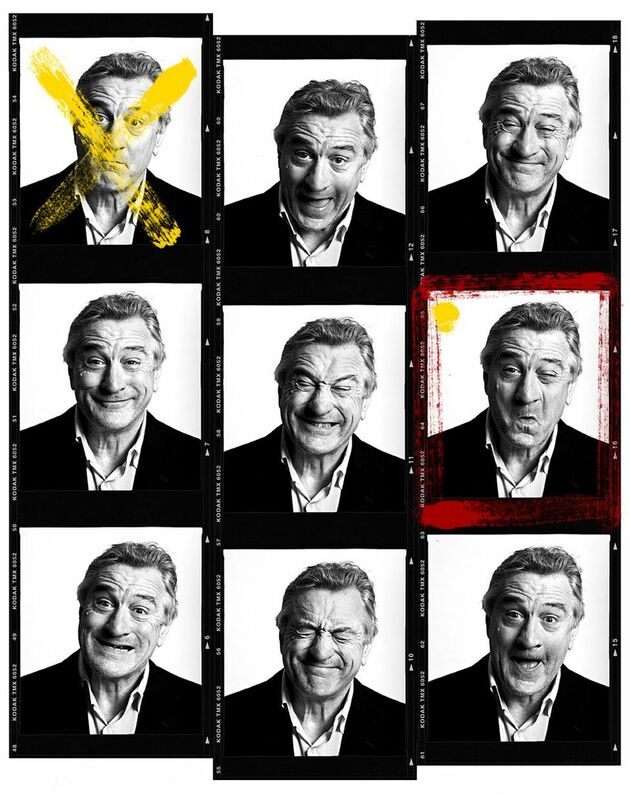 This very contact sheet of Robert De Niro can be examined and admired at The Unseen Collection at The Showroom Presents in London until the end of July. The exhibition also features Penelope Cruz, Kate Winslet, Robert De Niro, Harrison Ford, Benedict Cumberbatch, Julia Roberts and other great stars. 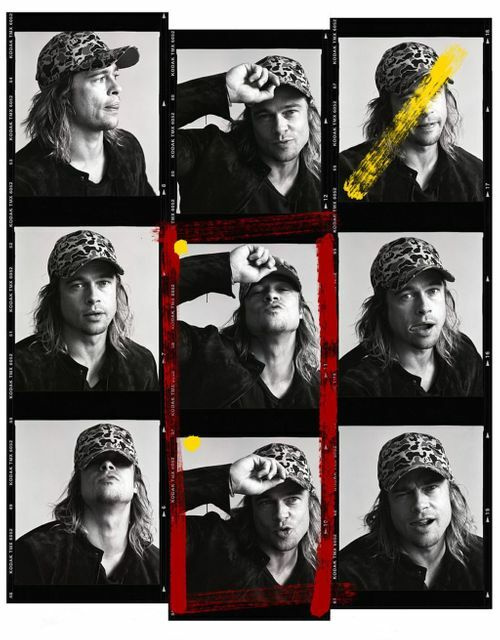 Each contact sheet shows a series of photographs taken in one sitting, all untouched (Andy Gotts is one of the few photographers who famously refuses to retouch and photoshop his portraits). The frames that have been shown before are highlighted.